What are Santa’s reindeer called? 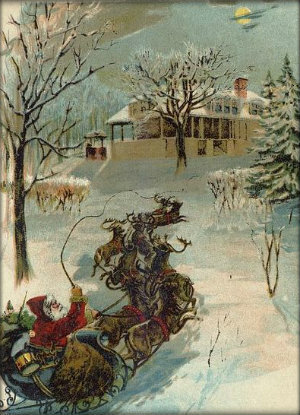 According to Christmas tradition, the sleigh of Santa’s Claus is pulled by a team of nine reindeer. These reindeer are magical and they are able to fly. The reindeer (except Rudolph) are mentioned in the poem Twas the Night Before Christmas written by Clement Clarke Moore in 1823. Rudolph, the Red-Nosed Reindeer, was written about by Robert L. May in 1939.